New Data Brief: How does blended finance align to the SDGs? 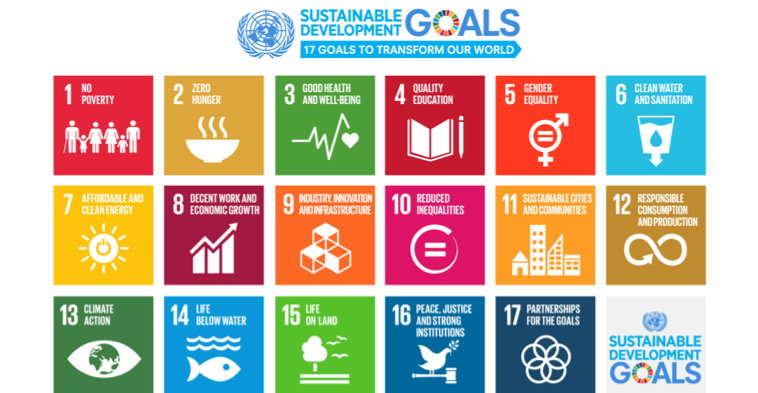 Achieving the Sustainable Development Goals (SDGs) would create a world that is economically prosperous, environmentally secure, and socially fair. But, to achieve the SDGs in developing countries, a significant scale-up of investment is required. Blended finance is one way to mobilize additional financing for developing countries. Blended finance deals typically target two or more additional SDGs beyond Goal 17 (Partnerships for the Goals), according to our research. However, blended finance is not a panacea for achieving all the SDGs. 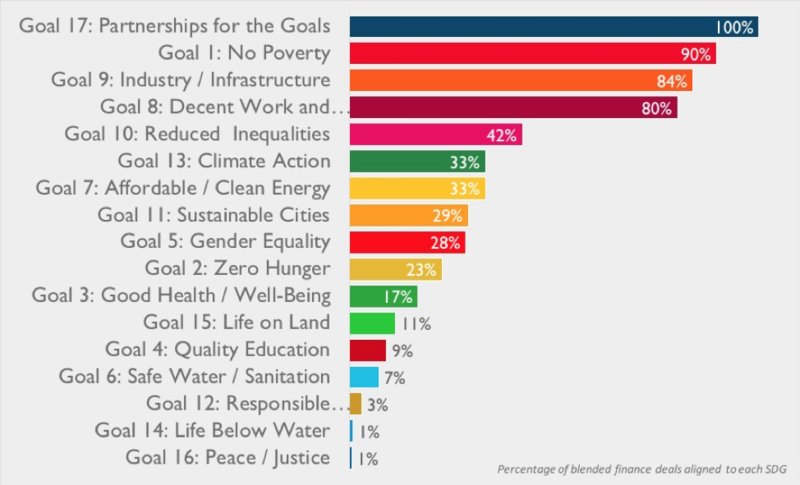 Blended finance deals in the Convergence database have demonstrated strongest alignment to Goal 17 (Partnerships for the Goals) and Goal 1 (No Poverty), followed by Goal 9 (Industry, Innovation, & Infrastructure), Goal 8 (Decent Work & Economic Growth), and Goal 10 (Reduced Inequalities). These goals broadly map to financial services and infrastructure, two sectors where blended finance is prominent. The Brief focuses in on nine goals where blended finance has greater potential to scale: Goal 13 (Climate Action), Goal 7 (Affordable & Clean Energy), Goal 11 (Sustainable Communities), Goal 5 (Gender Equality), Goal 2 (Zero Hunger), Goal 3 (Good Health & Well-Being), Goal 15 (Life on Land), Goal 4 (Quality Education), and Goal 6 (Safe Water & Sanitation). 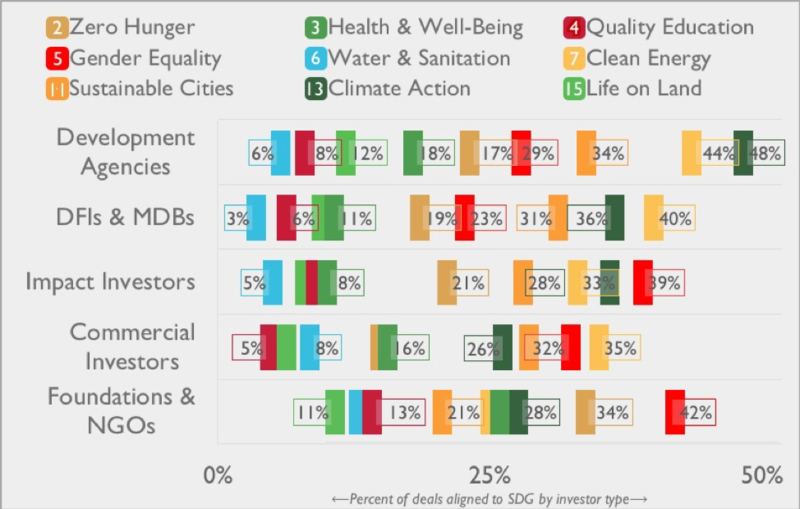 Among this sub-set of SDGs, blended finance deal flow has been greatest for Goal 11 (Sustainable Cities), followed by Goal 7 (Affordable & Clean Energy). Goal 4 (Quality Education) and Goal 6 (Safe Water & Sanitation) have had less blended finance deal flow. The Brief also observes trends in the investment patterns of different types of blended finance investors. The public sector (i.e., development agencies, DFIs, and MDBs) has demonstrated the strongest appetite for blended finance solutions for climate change, including Goal 13 (Climate Action) and Goal 7 (Affordable & Clean Energy). More notably, private sector investors have disproportionately invested in blended finance solutions concentrated on Goal 5 (Gender Equality): 39% of investments from impact investors and 32% of investments from more traditional commercial investors. Ultimately, this Brief is an early effort to map the alignment of blended finance activities to date to the SDGs. The majority of blended finance deals analyzed in this Brief were launched before the SDGs were established in 2015. While this analysis provides a useful indicator of where blended finance is playing an outsized role in financing the SDGs, we will have a more rigorous understanding of blended finance and the SDGs when we can analyze a larger number of blended deals that are launched following the establishment of the SDGs. Finally, more than just financing is needed to achieve the SDGs. While blended finance can be used as a tool for mobilizing greater volumes of capital to projects aligned to the SDGs, continued emphasis must be placed on the effective design of impactful and sustainable development solutions. The Brief is part of our new data-driven series for our members that is focused on blended finance benchmarks. Each month, Convergence will publish a Data Brief to promote the sharing of actionable data and learning among the blended finance community. Our next Brief will focus on Gender and will identify where blended finance has the potential to play an outsized role in contributing to SDG 5: Gender Equality. As a Senior Associate, Justice is responsible for Convergence’s data and research activities, including building out Convergence’s database of historical blended finance transactions, documenting blended finance case studies, developing blended finance trends analysis and benchmarks, and coordinating webinars and workshops. Prior to joining Convergence, she worked at the MasterCard Foundation as Program Coordinator for the Financial Inclusion team. While there, Justice was responsible for contributing to new project development, managing current projects, updating project records and preparing strategic reports, as well as managing team organization and coordination. Prior to joining the Foundation, Justice was at the University of Toronto’s Munk School of Global Affairs completing her master’s thesis on Financial Inclusion and the Role of Government. 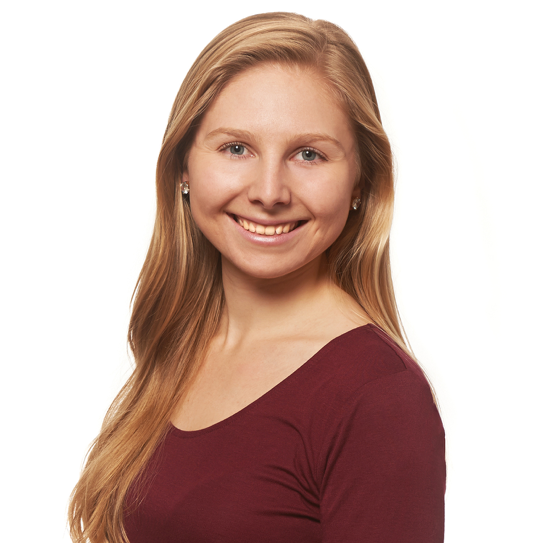 She also has a variety of research and policy experience through her work at Scotiabank’s Government Communications, Policy and Research department, the G20 Research Group, and the World Wildlife Fund.